Pearl alert! 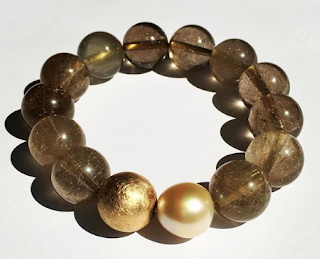 Kojima Company, purveyor of fascinating and unusual pearls, are having a special two-day sale, from October 23 to October 25, 2013. 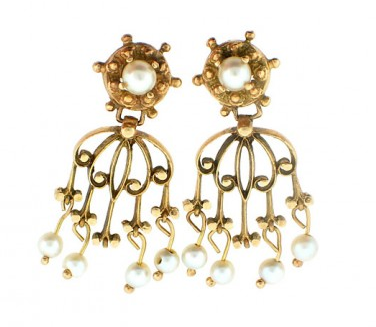 L., who visited last month, asked what I'd suggest in pearl earrings "beyond boring studs". I bristled slightly, thinking of the white baroque studs in my makeup bag; they cost around $35 on eBay from a Hong Kong vendor, go with everything and if lost, no big deal. But L. is right, they don't provide the frisson of a standout pair. 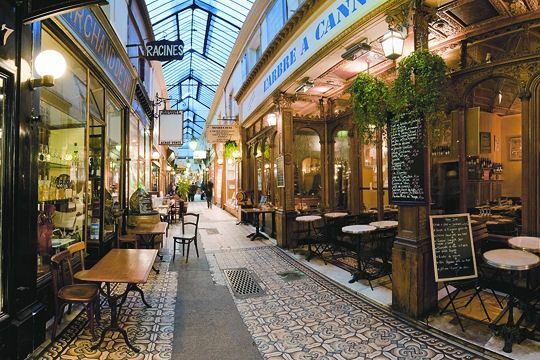 Her budget was "not over $500, maybe $600"; she prefers gold and is drawn to dangles. I figured we'd take a few flyers. Here are the unusual earrings that I showed her. Ceci n'est pas une boucle d'oreille. 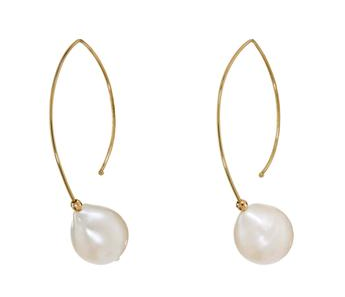 Delfinia Delletrez single pearl with lips earring, about $585 via farfetch.com; about & $585. Guaranteed head-swiveller. I fell for Mizuki's pearl and 14k gold wire earrings, and was a little pushy about it, if "Buy these!" is pushy. So spare, but as the Twist site says, a change from the ubiquitous gold hoop. 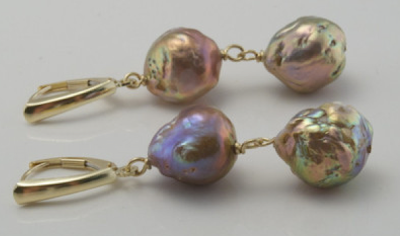 The pearls are 3/8" diameter, so that's about 10mm. Price, $330. Beladora II's seed pearl vintage-style dangles, $495. Pennies per wear, because they'll look gorgeous with her jackets, jeans or best dress. Gump's 8.5mm green Tahitian dangles, $750. These are over budget, but well-priced for top-quality Tahitians. I thought she might dismiss the classic setting, but she said, "Ohhhh." 5. L. was back home by the time I found these Kasumi drops on Kojima Company's site or I would have babbled at her; instead, I sent the link! They are now on sale and will likely be snapped up. 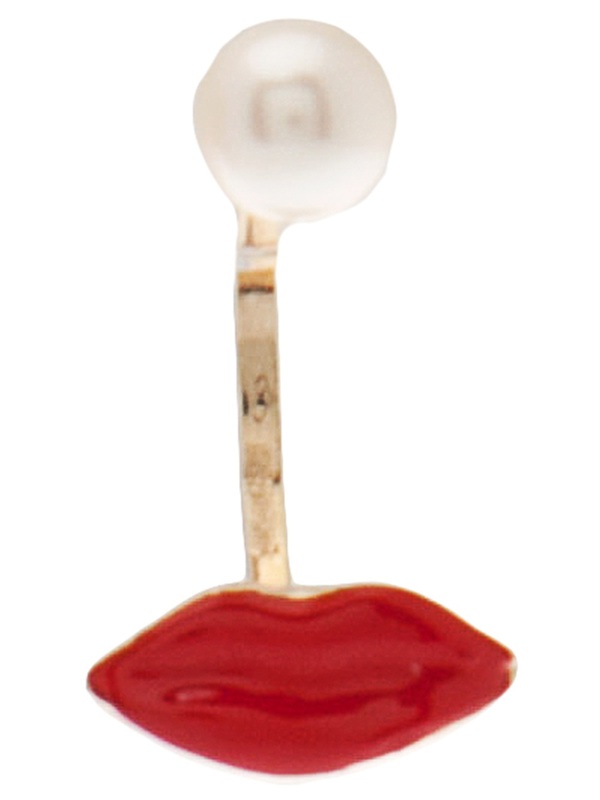 These are natural colour, 10mm-11mm, set in 14k. They are not perfect pearls, but I think their character overrides that... just like us. I'd wear every one of the choices, though it would take a certain mood to get me into #1. That earring could, though, become one's signature accessory. "Give that Negroni to the lady with the lips." I hoped to announce a winner, but L., suddenly sitting with a case of Tahitian lust, wants to reassess her budget and drop a hint to her perenially-gift-challenged sweetheart. This is wise; her choice should be a coup de coeur, not a best-of-the-bunch. As in love, look around, but when the time is right, take the leap! OH...I like the Hoop La...so pretty! Sigh. I'm always happy when I see one of your pearl posts. I think I like the Beladora dangles. Some time in the last year I moved from teeny earrings to more dangly - probably as the level of girl in my physical presence along declined I increase it in my accessories? Or maybe because I find myself so drawn to menswear, and the dangles balance it out? Oh those Gump pearls are really fabulous! I so adore your pearl postings Duchesse! Oh, those Kasumis! Like sunsets on water... Dangles are not for me, but maybe someday I'll get one big Kasumi set into a ring, so I can stare at it all the time. Your previous post on colored pearls caused me to fall for a pair of natural lavender drop earrings (white gold wires). I've barely taken them off since I got them. Thank you! Pam: I like earrings that are simple, yet not bland. These, to me, are that. LPC: Oh, I could So see you in those. hostess: They are outrageous, and would love to borrow them for a spin, but if spending real-jewelery money, not my choice. With you on the green Tahitians! materfamilias: You have such sentimental pieces. That's what jewelery is, also, a connection to loved ones. Barbara: A deep pleasure for me to hear that, thank you. Lavender pearls are one of nature's most graceful gifts. OOOOHHH, another pearl post! I love the Twist ones, and the Tahitians, and the Katsumis are really fascinating (I would wind up taking them out to look at too often, I think). While I can understand how some folks think pearl studs might be boring, I love them precisely for that simplicity. I wear my studs nearly every day. I change them for my antique pearl and diamond French lever backs....the pearls are small (probably about 7mm) and the diamonds are old cushion mine cuts, but they seem so dressy. I have made it my charge to get over that and wear them with jeans. Wow, those green Tahitians are gorgeous. This post got me thinking about the challenge of wearing earrings with scarves during the cold weather. 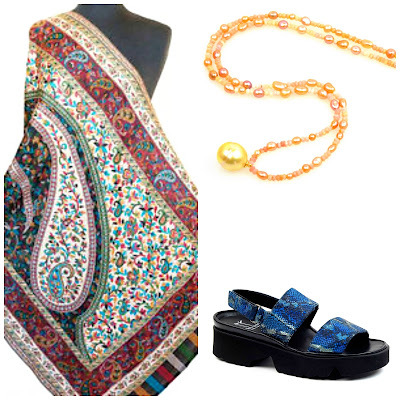 Dangly styles tend to get caught in the thicker, more voluminous fabric we need to wear. Perhaps you might have some ideas for some unusual and beautiful studs? LauraH: Please see my reply @ C., the link to Kojima's Kasumi studs. I wear studs with screw backs pretty much all winter after losing an earring exactly the way you describe. I love the gold wire ones - I'd get plenty of wear out of those, I think. 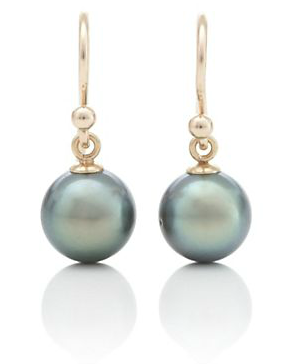 The black pearls are stunning though, with all that lustre and different colours shimmering through. Oh, I'm hankering after the wire ones ... so pretty and simple.